When I first handled a Canon 5D MkIII I expected it would only be a matter of time before I bought one, its super fast and versatile AF, brilliant high ISO performance and quiet shutter made it a brilliant and compelling all round package which was difficult to ignore. Yet I did not buy one. 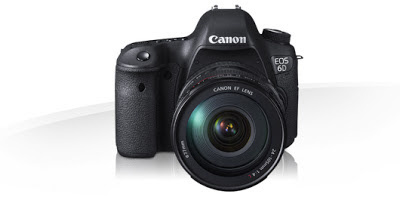 I bought its cheaper little brother the Canon 6D. Though perhaps that should be sister? as there is something slightly feminine about the 6D, compared to the 5D MkIII. Lets have a look at the differences and I will try to explain. This is no deal breaker for me, the MkIII has AF which though cream of the crop verges on overkill, having features that though some may I probably will never use. Seemingly a big deal but consider this, I have owned 5D MkI's and MkII's and have done all sorts of silly if not down right stupid things with them and they have never fallen victim to water or excessive dust intrusion - I'm not saying that it can't happen, just that it has never happened to me. There will be people who this matters to, who go to hostile environments for whom this will be a big deal, its just so far I'm not one of them. It has clearly and somewhat superficially been hobbled by Canon in a somewhat half hearted effort to differentiate it from the MkIII and is expected to last a whole 50,000 cycles fewer. Having replaced two shutters in MkII's this really does not bother me as the replacement of shutters was done at a very reasonable cost by Canon. The flash sync is 1/180th sec instead of 1/250th sec -1/3 of a stop that will not cause me to loose any sleep. 1/4000 instead of 1/8000 highest shutter speed - after thinking long and hard about this I came to the conclusion I have never used, nor had reason to use 1/8000 sec, so no worries there. 4.5 vs 6fps in a burst, no great shakes for me. 4. The body is not made from metal but a mix of metal and plastic. This means it is a whole 200g lighter around 20 percent lighter than the MkIII, 680g V's 860g. Small but useful if you are looking to put it in precarious positions as I have. Yes, it would be nice to have both BUT the pain is taken away somewhat when you can buy a Sandisk Extreme Pro 95 mbps SD card for under £100. I just have to be careful not to lose them or sit on them. I could go on, but the only two features I wish it carried over from the MkIII but does not are the wireless flash control and the RAW HDR. But to be honest none of this really matters to me. Because it has a single killer feature that the MkIII does not have. For some this will not matter at all, but make no mistake this single feature opens up a whole realm of photographic opportunities that never existed before. Imagine being able to put this camera in an awkward place and be able to monitor over live-view, fire and control the exposure pretty much seamlessly form your iPhone. You can even focus it remotely too. Chuck Westfall of Canon USA gives a demo here. I love it too that you can email the jpg preview files form the phone too. The 5DMkIII, as brilliant as it is, does not actually have a whole new trick up its sleeve like the 6D, which in turn opens up a whole new world of possibilities. Added to all of this it is the best part of £1000 cheaper than the MkIII, enough to buy you a juicy 'L' series lens or a small secondhand car in which to go off and have many an adventure. Will I buy a MkIII in the future? Most possibly, for the wireless flash if nothing else, but right now the 6D suits me better than the MkIII. So I put my money where my mouth is and I'm using the 6D just about every day and I'm left wondering why on earth every DSLR is not WiFi capable? Interesting post. I took ownership of a mark III yesterday after debating between the two. I was sold on the 6D until I watched a review on Youtube between the two - https://www.youtube.com/watch?v=5eiFBV70Z5E where the 6D did well until the moire test where it fell apart. I'm interested to watch how you deal with it. A very interesting point, and one that people should bear in mind if they are indeed shooting video with the 6D, the Mk III being a better video package. If Wifi is your primary reason for purchase, really, who should care? Only you. Because in the end 1001 focus points won't help pay the bills, but a different and distinct vantage point just might. The 6D is a gem and the Wifi is beyond invaluable. Watch out for the 24ft pole post soon! At last! a new Mac Pro. Will I be buying one?